I had a client email me about his situation. He couldn't afford training anymore because of financial problems. He being a young actor. He had a show that he was on but as the nature of the business is, sometimes shows get cancelled. I told him he had more pressing issues than continuing training. He needed to succeed at his craft, his whole reason for training in the first place was to further his stage presence. I told him not to fret, we'll be here. This is just training, this is supposed to enhance your life, this ISN'T your life. Not for him anyway. Acting was his life. Go conquer that world and don't come back until you do. 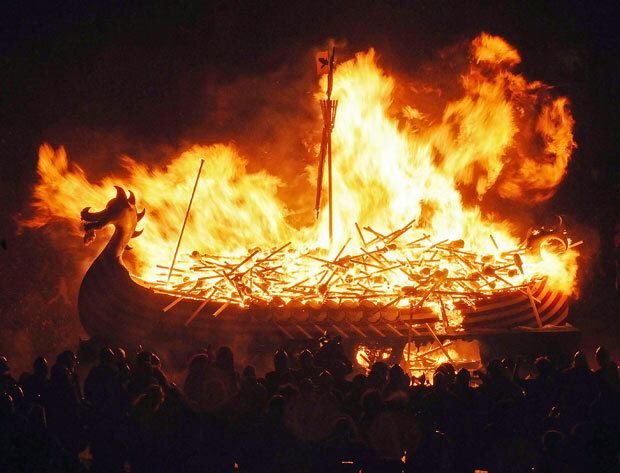 I told him to burn the boats. Vikings whenever they went to conquer a new land, would burn all their boats so they couldn't retreat, and they couldn't flee. They only had one other option, which was to conquer. This same idea is shared in many other cultures. Burn your bridges, the paths that connect you to the past and only focus on now and the future. Parents tell their kids that once they leave the house, their house will be gone, so don't look to come back, go out and succeed.